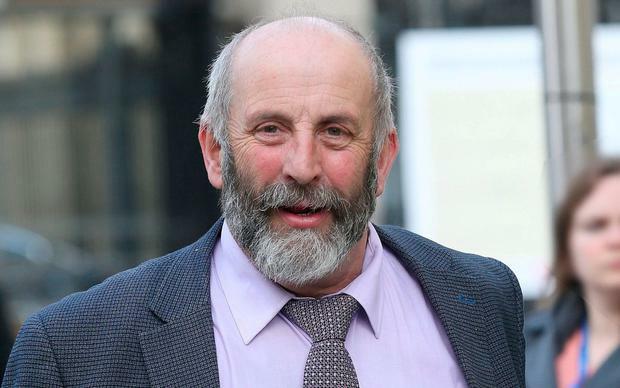 Kerry TD Danny Healy Rae has rejected accusations of "speaking out of both sides of his mouth" in a bitter row over a proposed wind farm. Mr Healy Rae has pledged his full support to locals in the east-Kerry area of Sliabh Luachra at a public meeting in the village of Gneeveguilla, near Killarney. But locals attending the meeting challenged his involvement in wind farm developments via his plant hire business and accused him of trying to have things both ways. The outspoken Independent TD rejected these accusations, saying he had machines working at another wind farm project near his home base in Kilgarvan. "But I have no intention of tendering for this project in Gneeveguilla where there is conflict in the local community," he told the Irish Independent. Local community chairman Fred O'Sullivan, who is now leading a campaign to raise €120,000 for a High Court challenge to the controversial project, confirmed that there were angry exchanges at the public meeting on the issue. He said locals were annoyed that Mr Healy Rae made "a political speech" and had questioned his link to another wind farm development.